This article is about the musical stage play. For the film, see My Fair Lady (film). For other uses, see My Fair Lady (disambiguation). It is Edwardian London, the Royal Opera House, Covent Garden. The protagonist, Eliza Doolittle, is a Cockney with a thick, unintelligible accent. Professor Henry Higgins invites Colonel Pickering to stay as his houseguest. Soon after, Eliza Doolittle comes to Professor Higgins's house, seeking elocution lessons. Professor Higgins wagers Colonel Pickering, that in six months he will turn Eliza into a lady by teaching her to speak properly. Eliza is indentured into the Higgins household as a resident elocution student. After some weeks, Eliza is introduced to Freddy Eynsford-Hill. Freddy falls in love. Eliza's accent is now refined, and she is now being educated on how to function as a debutante in high society. Eliza's final test requires her to pass as a lady at the Embassy Ball. After more weeks of preparation, she is ready. All the ladies and gentlemen at the ball admire her, and the Queen of Transylvania invites her to dance with the prince. For his part, the Hungarian linguist Zoltan Karpathy declares her to be a fellow Hungarian - correctly deducting (though for the wrong reasons) that the English she speaks is not her mother language and that she had been carefully instructed in removing any trace of her native accent. The ball was a success. Colonel Pickering and Professor Higgins revel in their triumph, failing to pay attention to Eliza until Higgins asks Eliza to fetch his slippers. Eliza is insulted, then packs up and leaves the Higgins house. She hadn't been given any credit for all the effort she spent on learning her elocution lessons. Higgins awakens the next morning. He finds without Eliza, he is served tea instead of coffee, and cannot find his files. Colonel Pickering notices the Professor's lack of consideration. Pickering finds another host, and also leaves the Higgins house. Professor Higgins is despondent and visits his mother. To his surprise, Eliza has been staying with Mother Higgins. Mother Higgins scolds Henry, and enjoins him to apologize to Eliza. Eliza accuses him of wanting her only to fetch and carry for him, saying that she will marry Freddy because he loves her. She declares she no longer needs Higgins. Higgins realizes his heart is broken, and cannot do anything about it. He reaches the Higgins house. Sentimentally, he reviews the recording he made the day Eliza first came to him for lessons. He hears his own harsh words: "She's so deliciously low! So horribly dirty!" Then the phonograph turns off, and a real voice speaks in a Cockney accent: "I washed me face an' 'ands before I come, I did". It is Eliza, standing in the doorway. In suppressed joy at their reunion, Professor Higgins scoffs and asks, "Eliza, where the devil are my slippers?" In the mid-1930s, film producer Gabriel Pascal acquired the rights to produce film versions of several of George Bernard Shaw's plays, Pygmalion among them. However, Shaw, having had a bad experience with The Chocolate Soldier, a Viennese operetta based on his play Arms and the Man, refused permission for Pygmalion to be adapted into a musical. After Shaw died in 1950, Pascal asked lyricist Alan Jay Lerner to write the musical adaptation. Lerner agreed, and he and his partner Frederick Loewe began work. But they quickly realised that the play violated several key rules for constructing a musical: the main story was not a love story, there was no subplot or secondary love story, and there was no place for an ensemble. Many people, including Oscar Hammerstein II, who, with Richard Rodgers, had also tried his hand at adapting Pygmalion into a musical and had given up, told Lerner that converting the play to a musical was impossible, so he and Loewe abandoned the project for two years. During this time, the collaborators separated and Gabriel Pascal died. Lerner had been trying to musicalize Li'l Abner when he read Pascal's obituary and found himself thinking about Pygmalion again. When he and Loewe reunited, everything fell into place. All of the insurmountable obstacles that had stood in their way two years earlier disappeared when the team realised that the play needed few changes apart from (according to Lerner) "adding the action that took place between the acts of the play". They then excitedly began writing the show. However, Chase Manhattan Bank was in charge of Pascal's estate, and the musical rights to Pygmalion were sought both by Lerner and Loewe and by Metro-Goldwyn-Mayer, whose executives called Lerner to discourage him from challenging the studio. Loewe said, "We will write the show without the rights, and when the time comes for them to decide who is to get them, we will be so far ahead of everyone else that they will be forced to give them to us." For five months Lerner and Loewe wrote, hired technical designers, and made casting decisions. The bank, in the end, granted them the musical rights. Noël Coward was the first to be offered the role of Henry Higgins, but he turned it down, suggesting the producers cast Rex Harrison instead. After much deliberation, Harrison agreed to accept the part. Mary Martin was an early choice for the role of Eliza Doolittle, but declined the role. Young actress Julie Andrews was "discovered" and cast as Eliza after the show's creative team went to see her Broadway debut in The Boy Friend. Moss Hart agreed to direct after hearing only two songs. The experienced orchestrators Robert Russell Bennett and Philip J. Lang were entrusted with the arrangements, and the show quickly went into rehearsal. The musical's script used several scenes that Shaw had written especially for the 1938 film version of Pygmalion, including the Embassy Ball sequence and the final scene of the 1938 film rather than the ending for Shaw's original play. The montage showing Eliza's lessons was also expanded, combining both Lerner's and Shaw's dialogue. The artwork on the original playbill (and the sleeve of the cast recording) is by Al Hirschfeld, who drew the playwright Shaw as a heavenly puppetmaster pulling the strings on the Henry Higgins character, while Higgins in turn attempts to control Eliza Doolittle. The musical had its pre-Broadway tryout at New Haven's Shubert Theatre. At the first preview Rex Harrison, who was unaccustomed to singing in front of a live orchestra, "announced that under no circumstances would he go on that night...with those thirty-two interlopers in the pit". He locked himself in his dressing room and came out little more than an hour before curtain time. The whole company had been dismissed but were recalled, and opening night was a success. My Fair Lady then played for four weeks at the Erlanger Theatre in Philadelphia, beginning on February 15, 1956. The musical premiered on Broadway March 15, 1956, at the Mark Hellinger Theatre in New York City. It transferred to the Broadhurst Theatre and then The Broadway Theatre, where it closed on September 29, 1962, after 2,717 performances, a record at the time. Moss Hart directed and Hanya Holm was choreographer. In addition to stars Rex Harrison, Julie Andrews and Stanley Holloway, the original cast included Robert Coote, Cathleen Nesbitt, John Michael King, and Reid Shelton. Harrison was replaced by Edward Mulhare in November 1957 and Sally Ann Howes replaced Andrews in February 1958. The Original Cast Recording, released on April 2, 1956, went on to become the best-selling album in the country in 1956. Another Broadway revival of the original production opened at the Uris Theatre on August 18, 1981, and closed on November 29, 1981, after 120 performances and 4 previews. Rex Harrison recreated his role as Higgins, with Jack Gwillim, Milo O'Shea, and Cathleen Nesbitt, at 93 years old reprising her role as Mrs. Higgins. The revival co-starred Nancy Ringham as Eliza. The director was Patrick Garland, with choreography by Crandall Diehl, recreating the original Hanya Holm dances. A new revival directed by Howard Davies opened at the Virginia Theatre on December 9, 1993, and closed on May 1, 1994, after 165 performances and 16 previews. The cast starred Richard Chamberlain, Melissa Errico and Paxton Whitehead. Julian Holloway, son of Stanley Holloway, recreated his father's role of Alfred P. Doolittle. Donald Saddler was the choreographer. Cameron Mackintosh produced a new production on March 15, 2001, at the Royal National Theatre, which transferred to the Theatre Royal, Drury Lane on July 21. Directed by Trevor Nunn, with choreography by Matthew Bourne, the musical starred Martine McCutcheon as Eliza and Jonathan Pryce as Higgins, with Dennis Waterman as Alfred P. Doolittle. This revival won three Olivier Awards: Outstanding Musical Production, Best Actress in a Musical (Martine McCutcheon) and Best Theatre Choreographer (Matthew Bourne), with Anthony Ward receiving a nomination for Set Design. In December 2001, Joanna Riding took over the role of Eliza, and in May 2002, Alex Jennings took over as Higgins, both winning Olivier Awards for Best Actor and Best Actress in a Musical respectively in 2003. In March 2003, Anthony Andrews and Laura Michelle Kelly took over the roles until the show closed on August 30, 2003. A UK tour of this production began September 28, 2005. The production starred Amy Nuttall and Lisa O'Hare as Eliza, Christopher Cazenove as Henry Higgins, Russ Abbot and Gareth Hale as Alfred Doolittle, and Honor Blackman and Hannah Gordon as Mrs. Higgins. The tour ended August 12, 2006. In 2003 a production of the musical at the Hollywood Bowl starred John Lithgow as Henry Higgins, Melissa Errico as Eliza Doolittle, Roger Daltrey as Alfred P. Doolittle and Paxton Whitehead as Colonel Pickering. Lincoln Center Theater and Nederlander Presentations Inc. announced plans to mount a new Broadway revival in 2018. The revival began previews on March 15, 2018, at the Vivian Beaumont Theater and officially opened on April 19, 2018. It is directed by Bartlett Sher with choreography by Christopher Gattelli, scenic design by Michael Yeargan, costume design by Catherine Zuber and lighting design by Donald Holder. The cast includes Lauren Ambrose as Eliza, Harry Hadden-Paton as Professor Henry Higgins, Diana Rigg as Mrs. Higgins, Norbert Leo Butz as Alfred P. Doolittle, Allan Corduner as Colonel Pickering, Jordan Donica as Freddy, and Linda Mugleston as Mrs. Pearce. Rosemary Harris replaced Rigg as Mrs. Higgins from September 11, 2018. Laura Benanti replaced Ambrose as Eliza, originally for a limited engagement from October 23, 2018 to February 17, 2019. Benanti has extended her engagement to July 7, 2019. Danny Burstein replaced Butz as Alfred P. Doolittle for a limited engagement from January 8 to April 28, 2019. Christian Dante White took over as Freddy on January 8, 2019. Alexander Gemignani will replace Burstein in the role of Alfred P. Doolittle from April 30, 2019. In 2007 the New York Philharmonic held a full-costume concert presentation of the musical. The concert had a four-day engagement lasting from March 7–10 at Lincoln Center's Avery Fisher Hall. It starred Kelsey Grammer as Higgins, Kelli O'Hara as Eliza, Charles Kimbrough as Pickering, and Brian Dennehy as Alfred Doolittle. Marni Nixon played Mrs. Higgins; Nixon had provided the singing voice of Audrey Hepburn in the film version. A U.S. tour of Mackintosh's 2001 West End production ran from September 12, 2007, to June 22, 2008. The production starred Christopher Cazenove as Higgins, Lisa O'Hare as Eliza, Walter Charles as Pickering, Tim Jerome as Alfred Doolittle and Nixon as Mrs. Higgins, replacing Sally Ann Howes. 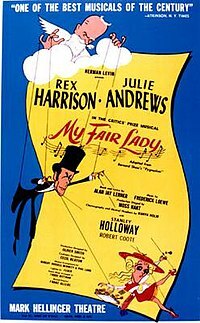 According to Geoffrey Block, "Opening night critics immediately recognized that My Fair Lady fully measured up to the Rodgers and Hammerstein model of an integrated musical...Robert Coleman...wrote 'The Lerner-Loewe songs are not only delightful, they advance the action as well. They are ever so much more than interpolations, or interruptions.'" The musical opened to "unanimously glowing reviews, one of which said 'Don't bother reading this review now. You'd better sit right down and send for those tickets...' Critics praised the thoughtful use of Shaw's original play, the brilliance of the lyrics, and Loewe's well-integrated score." A sampling of praise from critics, excerpted from a book form of the musical, published in 1956. "One of the best musicals of the century." Brooks Atkinson, The New York Times. The reception from Shavians was more mixed, however. Eric Bentley, for instance, called it "a terrible treatment of Mr. Shaw's play, [undermining] the basic idea [of the play]", even though he acknowledged it as "a delightful show". ^ Steyn, Mark. "Broadway Babies Say Goodnight:". Google Books. Retrieved 7 September 2018. ^ a b "'My Fair Lady' Synopsis, Cast, Scenes and Settings and Musical Numbers" guidetomusicaltheatre.com, accessed December 7, 2011. ^ Morley, Sheridan. A Talent to Amuse: A Biography of Noël Coward, p. 369, Doubleday & Company, 1969. ^ "Extravagant Crowd: Mary Martin", Beinecke Library, Yale University, accessed December 9, 2011. ^ Schreiber, Brad. Stop the show! : a history of insane incidents and absurd accidents in the theater (2006), Thunder's Mouth Press, ISBN 1-56025-820-9, pp. 137–138. ^ a b c d Suskin, Steven. "'My Fair Lady', 1956, 1976, and 1981"Show tunes: the songs, shows, and careers of Broadway's major composers (2010, 4ed. ), Oxford University Press, ISBN 0-19-531407-7, p. 224. ^ Vallance, Thomas. "Obituary: Edward Mulhare" The Independent (UK), May 27, 1997. ^ "A Fiery 'Fair Lady' Takes Over"Life Magazine, March 3, 1958, p. Front Cover, 51–54. ^ "Billboard Albums, 'My Fair Lady'", Allmusic.com, accessed December 5, 2011. ^ "My Fair Lady Facts" Archived 2011-11-27 at the Wayback Machine, Myfairladythemusical.com, accessed December 5, 2011. ^ "Zena Dare" Archived 2012-04-26 at the Wayback Machine, The-camerino-players.com, accessed December 5, 2011. ^ Borders, William. "A New Fair Lady Delights London Theatergoers", The New York Times, November 26, 1979, p. C15. 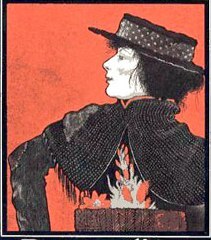 ^ "'My Fair Lady', 1979", Phyllis.demon.co.uk, accessed December 7, 2011. ^ "0 Questions With...Liz Robertson", Whatsonstage.com, April 22, 2002. ^ "Olivier Winners 1979" Archived 2012-01-12 at the Wayback Machine, Olivierawards.com, accessed December 5, 2011. ^ Gussow, Mel. "The Stage: 'My Fair Lady' Returns"The New York Times, August 19, 1981. ^ Simon, John. "This Lady Is For Burning"New York Magazine, January 3, 1994. ^ "Olivier Winners 2002" Archived 2012-01-12 at the Wayback Machine olivierawards.com, accessed December 5, 2011. ^ "Olivier Winners 2003" Archived 2012-01-12 at the Wayback Machine olivierawards.com, accessed December 5, 2011. ^ "'My Fair Lady', 2001–2003" Archived 2010-09-17 at the Wayback Machine, Albemarle-london.com, accessed December 5, 2011. ^ Langley, Sid. "Finding The Fair Lady Twice OVER", Birmingham Post, September 16, 2005, p. 13. ^ Bicknell, Gareth. "Gareth Hale is in My Fair Lady at Wales Millennium Centre from Tuesday, July 25 to Saturday, August 12". "Change of pace for versatile actor Hale", Daily Post (Liverpool), July 21, 2006. p. 24. ^ Gans, Andrew (14 May 2003). "Errico, Lithgow, Daltrey to Star in Hollywood Bowl My Fair Lady Concert". Archived from the original on 29 June 2011. Retrieved February 13, 2011. ^ Fierberg, Ruthie. "Laura Benanti Extends Run in Broadway’s 'My Fair Lady'" Playbill, February 11, 2019. ^ Lawson, Kyle. "Marni Nixon in My Fair Lady" The Arizona Republic, June 10, 2008. ^ Gans, Andrew. "Marni Nixon to Join My Fair Lady Tour in Chicago" playbill.com, August 28, 2007. ^ "My Fair Lady". AusStage. Retrieved September 8, 2017. ^ My Fair Lady listing (in French), Chatelet-theatre.com, retrieved December 15, 2010. ^ "Crucible's 'My Fair Lady', Starring Dominic West and Carly Bawden, Aiming for West End, May 2013?" broadwayworld.com, January 3, 2013. ^ Spring, Alexandra. "Julie Andrews to direct Sydney Opera House production of 'My Fair Lady'" The Guardian, August 4, 2015. ^ Block, Geoffrey. Enchanted Evenings: The Broadway Musical from Show Boat to Sondheim, Oxford University Press US, 2004, ISBN 0-19-516730-9, p. 228. ^ Everett, William A., Laird, Paul R. The Cambridge Companion to the Musical, Cambridge University Press, 2008 (Ed.2), ISBN 0-521-86238-8, p. 176. ^ My Fair Lady: A Musical Play in Two Acts. Based on Pygmalion by George Bernard Shaw. Adaptation and lyrics by Alan Jay Lerner, Music by Frederick Loewe. New York: Doward-McCann, Inc., 1956. ^ "My Fair Lady: Mark Hellinger Theatre". Internet Broadway Database. ^ "My Fair Lady West End Cast". Broadway World. ^ "My Fair Lady: St. James Theatre". Internet Broadway Database. ^ McHugh, Dominic (2014). Loverly: The Life and Times of My Fair Lady (1st ed.). Oxford University Press. p. 187. ISBN 9780199381005. ^ "My Fair Lady: Uris Theatre". Internet Broadway Database. ^ "My Fair Lady: Virginia Theatre". Internet Broadway Database. ^ "My Fair Lady West End Revival Cast". Broadway World. ^ Miller, Daryl H. (August 5, 2003). "This 'Fair Lady' is exceptional". LA Times. ^ Gans, Andrew (May 19, 2003). "Rosemary Harris will play Mrs. Higgins in the upcoming Aug. 3 concert of My Fair Lady at the Hollywood Bowl". Playbill. ^ "Who's Who". Lincoln Center Theater. ^ Barnes, Peter (August 4, 2002). "Obituary: Peter Bayliss". The Guardian. ^ "Betty Paul: Stage and screen actress and writer of ITV's first rural soap opera". The Independent. April 12, 2011. Paul returned to acting for a two-year run in the West End as Mrs Pearce, the housekeeper, in My Fair Lady (1979-81). ^ "Tony Awards, 1957", Broadwayworld.com, accessed December 6, 2011. ^ "Previous Theatre World Award Recipients, 1955–56", Theatreworldawards.org, accessed December 6, 2011. ^ "Tony Awards, 1976", Broadwayworld.com, accessed December 6, 2011. ^ "1975–1976 22nd Drama Desk Awards", Dramadesk.com, accessed December 6, 2011. ^ "Olivier Winners 1979" Archived 2012-01-12 at the Wayback Machine olivierawards.com, accessed December 6, 2011. ^ "Tony Awards, 1982", Broadwayworld.com, accessed December 6, 2011. ^ "1993–1994 40th Drama Desk Awards", Dramadesk.com, accessed December 6, 2011. ^ "Olivier Winners 2002" Archived 2012-01-12 at the Wayback Machine olivierawards.com, accessed December 6, 2011. ^ Roman, James W. "My Fair Lady" Bigger Than Blockbusters: Movies That Defined America, ABC-CLIO, 2009, ISBN 0-313-33995-3, pp. 125–126. ^ Lerner, The Street Where I Live pp 134–6. ^ Gans, Andrew (2008-06-02). "Columbia Pictures and CBS Films to Develop New My Fair Lady Film". Playbill. Archived from the original on 2008-06-07. Retrieved 2008-06-06. ^ "Variety, June 5, 2008". ^ Lyttelton, Oliver. "Colin Firth Again Being Pursued For 'My Fair Lady' Remake; Carey Mulligan Still Attached", Indiewire.com, February 18, 2011, accessed December 9, 2011. Wikimedia Commons has media related to My Fair Lady (Broadway). Alan Jay Lerner was an American lyricist and librettist. In collaboration with Frederick Loewe, and later Burton Lane, he created some of the world's most popular and enduring works of musical theatre both for the stage and on film. He won three Tony Awards and three Academy Awards, among other honors. Kelli Christine O'Hara is an American actress and singer. She has appeared on Broadway and Off-Broadway in many musicals since making her Broadway debut as a replacement in Jekyll & Hyde in 2000. She has also acted on television, film and opera, appearing with The Metropolitan Opera. In 2018 she made her West End debut. 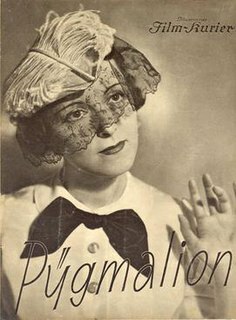 Pygmalion is a 1938 British film based on the George Bernard Shaw play of the same name, and adapted by him for the screen. It stars Leslie Howard and Wendy Hiller. "I Could Have Danced All Night" is a song from the musical My Fair Lady, with music written by Frederick Loewe and lyrics by Alan Jay Lerner, published in 1956. The song is sung by the musical's heroine, Eliza Doolittle, expressing her exhilaration and excitement after an impromptu dance with her tutor, Henry Higgins - in the small hours of the morning. In a counterpoint during the second of 3 rounds, two maids and the housekeeper, Mrs. Pearce, urge Eliza to go to bed, but she ignores them. "Wouldn't It Be Loverly" is a popular song by Alan Jay Lerner and Frederick Loewe, written for the 1956 Broadway play My Fair Lady. Gigi is a musical with a book and lyrics by Alan Jay Lerner and music by Frederick Loewe. It is based on the novella Gigi by Colette and 1958 hit musical film of the same name. The story concerns Gigi, a free-spirited teenaged girl living in Paris at the turn of the 20th century. She is being groomed as a courtesan in her family's tradition. Before she is deemed ready for her social debut, she encounters the bon vivant bachelor Gaston Lachaille, whom she captivates as she is transformed into a charmingly poised young lady. Eliza Doolittle is a fictional character from London who appears in the play Pygmalion and the musical version of that play, My Fair Lady. "With a Little Bit of Luck" is a popular song by Alan Jay Lerner and Frederick Loewe, written for the 1956 Broadway play My Fair Lady. Pygmalion is a 1935 German comedy film directed by Erich Engel and starring Jenny Jugo, Gustaf Gründgens and Anton Edthofer. It is based on George Bernard Shaw's play Pygmalion.